Big Wheel Building: Jeny and The Race: The Golden Rule. Jeny and The Race: The Golden Rule. 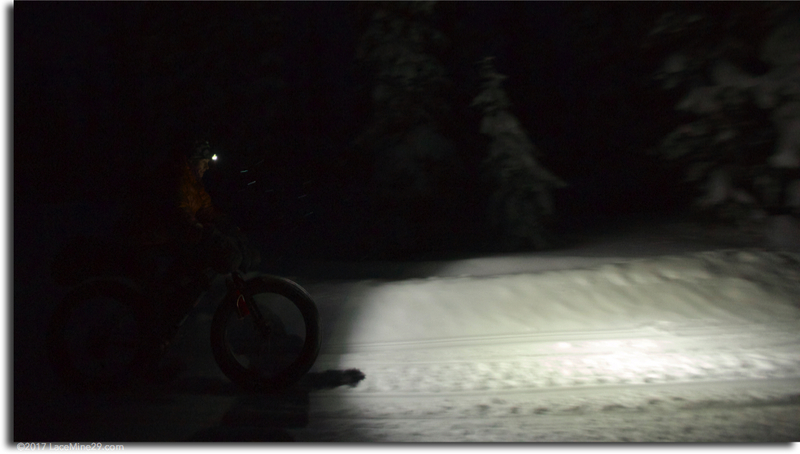 Jeny and I spent yesterday afternoon, evening, and a good chunk of today "out" riding in the snow. And while it'd be easy to assume, given where she's going and what she has planned, that that meant we put in a large volume of hours or miles, that's not the case. At all. Because first and foremost, you have to survive the ITI. Or, to put it in the words of perennial contender and Nome-record-holder Jeff Oatley, "It's not a bike race". For the folks whom choose to contend the event on foot or skis, they just slapped their collective foreheads, muttered "duh", and closed this tab. Put simply, pedaling and pushing a bike is the easy part of the ITI, and anyone that's been vetted (it is an Invitational, after all) and accepted into the race has probably got that part figured out already. The more challenging aspect of the event is taking care of one's self in the subarctic for a ~week, while trying to make reasonable progress every day. Setting aside the 18+ hours of pedaling (and pushing) you're doing every day, you also have to take care of your feet, dry sweaty clothes (or learn to not wet them out in the first place), keep your bike functioning, and get a little R+R so that you can get up and go again tomorrow. In short, it behooves one to learn to take care of themselves first. Forward motion comes fairly easily if you've got that other part figured out. To that end we spent a good chunk of our "out" time fiddling with layering. 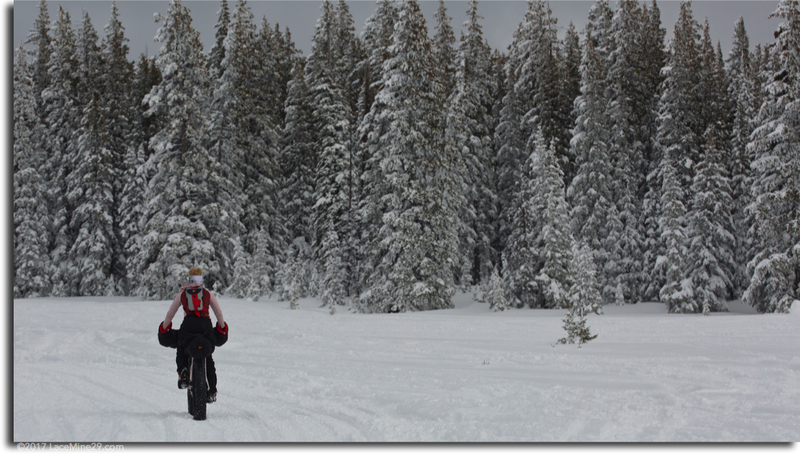 Managing moisture is *difficult* when the temps are (relatively) warm, the snow is soft, your tire pressure is barely measurable, and you're manhandling a 70# bike. It is work. Some people would say it's impossible to NOT sweat in that situation. I say those people are either lazy or inexperienced, and if they've finished the ITI without learning to NOT sweat, then they're also probably really lucky. You aren't allowed to sweat. If you sweat out your layers mid-day, and then night comes, the temps drop below zero, and your clothes are still wet, you've dug yourself a pretty good hole. Options include continuing to move until you can enter a warm building and dry out your gear, or stopping to build a fire to do the same. The former assumes that buildings are handy when you need them: On this route they usually aren't. The latter is more likely, but costs you time: It's difficult to go fast if you have to keep stopping to dry out layers. It's much faster, big picture, to learn to layer and moderate your effort such that you aren't sweating to begin with. Go slow to go fast. Want to know the biggest secret to success in winter layering? You don't need nearly as much as you think. Speeds are generally slow and effort is usually high. The slow speeds keep evaporative cooling to a minimum. The effort produces heat. Now read that ^ again, because there isn't much more to it. Want to vent excess heat? Unzip your jacket and pit zips, maybe take off your hat. Doing so dumps heat and replaces it with cold outside air -- and the cooling happens fast. Getting cold, need to warm up? Put your hat on, close your zippers. Doing so removes wind from the equation, and allows your internal combustion engine to re-warm that micro-climate inside your outer shell. Is it *just* that easy? Of course not, but that's the basic premise, and there's not a whole lot of reason to complicate it. Over this weekend Jeny experimented with many different weights, materials, and combinations in her layers: Wool vs. plastic, down vs. synthetic, water proof breathtables vs. water resistant softshells. What has she decided on? Positively nothing yet -- but she's learning to ask questions, draw conclusions, and formulate answers, all in the classroom of the real world. 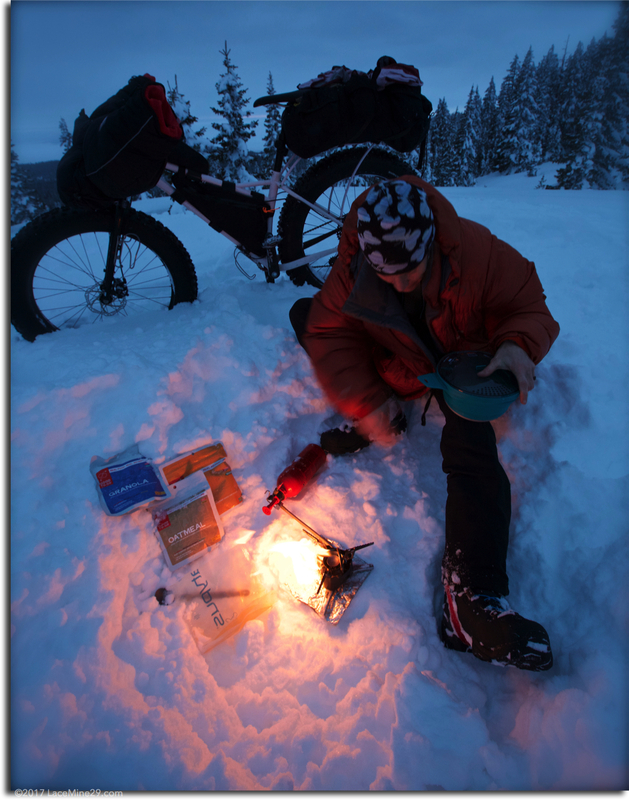 Late in the ride today, with the sun already down, the wind coming up, and a big climb just behind us, she stopped, dropped, and fired up her stove to melt snow -- both to drink and to rehydrate a snack. The end of the ride was close and we could have easily finished without this break. But it is precisely this devotion to practicing these important rituals overandoverandover that builds a level of comfort and confidence -- in both yourself and your equipment -- that can make all the difference in a worst case scenario when deep into this event. The time to make mistakes is *now*, so that you can learn from them, internalize the lessons, then practice again tomorrow. 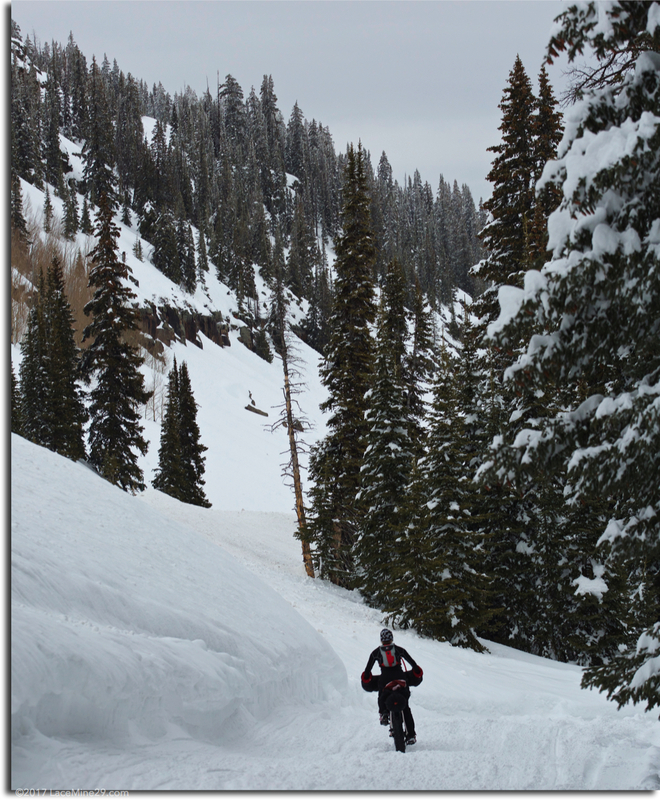 Thanks Mike, I meet a lot of folks in the backcountry who are clearly under or unprepared, and this speaks to a number of the issues I see. I would also add that I see more gear wrecked by trying to dry it fast over an open fire than any other cause. Besides, I see a lot of people get sweaty by a fire and put themselves in a position where they are worse off than they were before the fire. Cool! She's doing the ITI! Minimal short sleeve base layer, then light fleece, not much to get wet or absorb then... Thin wool layers are overrated for winter IMO. This is an interesting look inside something I think most cyclists are curious about, but completely ignorant; the ITI. On another note. I begged a couple weeks ago for a review of your red van and a fellow reader seconded it. Can you share your build with us Mike? As always thanks for the news and views! Going to be awhile on the van build/review post. We will wait eagerly! Thanks Mike. Back when I was much younger and a Marine, when we were out doing field ops in the winter (in the high-desert), my goal was to dress to be "comfortably cool" as opposed to "warm". If you dressed to be warm during idle periods, as soon as you had to perform any serious action, like say dismounting from your vehicle and climbing up a not-insignificant hill to do some recon, you would immediately overheat and pay for it in spades later. The "comfortably cool" motto has served me quite well when cycling in the winter. Good thoughts on winter apparel.... but my body just sweats a LOT. 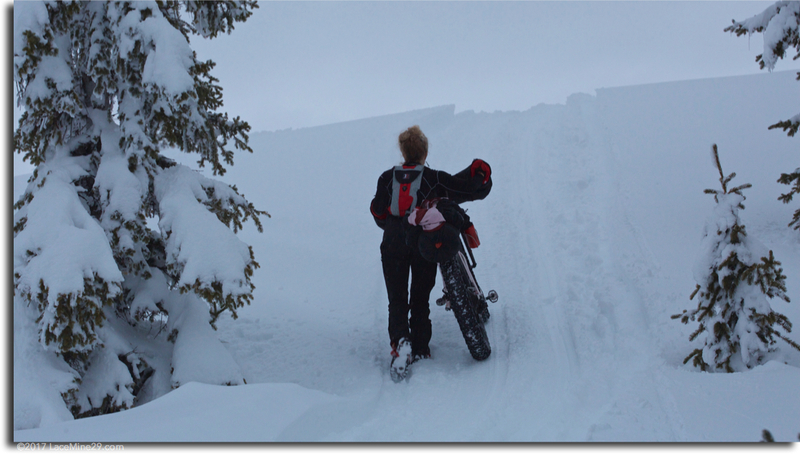 Back in 2009, living in Lake City, I trained all winter for the Lake City 50. I could run at night, in the winter, temps in the teens, with just a thin base layer and wind coat on top, long underwear and shorts on the bottom. The problem was, my hands got cold easily, even trying numerous glove combinations. And my body would still sweat. To get my body to sweat less, I had to wear less. This made me cold enough the body kept the heat in my core, allowing my hands to get cold. 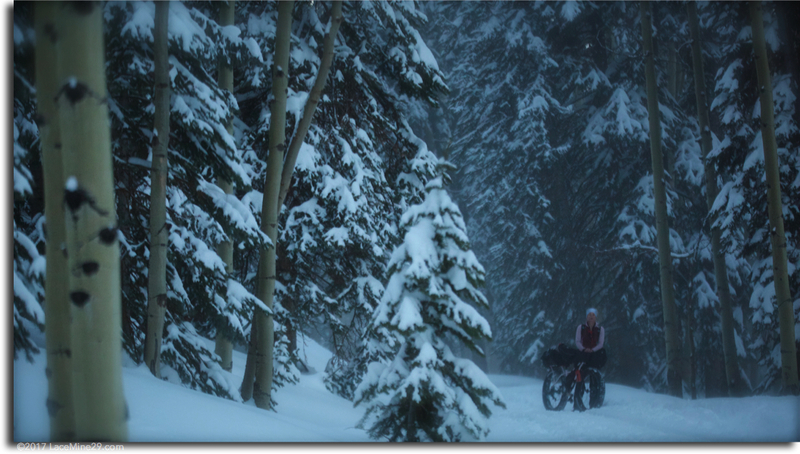 Perhaps the only way to not sweat is to move much slower, say a walk... but this is a very very fine line.................. and pushing a loaded bike up a hill in the snow is tough work. C'mon man -- you've got a sewing machine and some class-A skills to go with it. Come up with a solution other than "that won't work"! Sew up a set of down sleeves -- kind of an 'anti-vest' -- to keep your core cool and your arms and hands warm. Fiddle with the weight and windproofness of the fabric and insulation to find a solution. Seems like people find it easier to say "that won't work" from the comfort of their couch, instead of thinking outside the box and then doing a little footwork to devise a solution to a unique problem. Someone way wiser than I once said, "Keep doing what you've always done and you'll keep getting what you've always gotten'. MC, point well taken... I've not given up yet, just recognizing that for some physiologies the line between sweating and freezing is very, very fine. I can do both simultaneously. Unfortunately these days my outdoor pursuits are only a few hours long so there's also a lower level of importance. This winter (only in wimpy GJ) I'm finding that breathable wool gloves help a lot, I haven't had really cold hands yet, I've even done one glove type on each hand to compare... This is for running and biking.